Floyd Landis, the Lancaster cyclist whose sensational 2006 Tour de France victory was nullified after a doping scandal, is now setting the pace deep into his second career — peddling state-legal marijuana and its derivatives. A pioneering cannabis entrepreneur, Landis has put the international doping scandal behind him. He has rebuilt his reputation, and become a multistate hemp and cannabis grower and retailer. And in April, he’ll return to his hometown to open a hybrid hemp-product and cycling shop in Lancaster County — home to East and West Hempfield Townships, once major hemp-farming communities. During the last decade, Landis has built a online empire geared around CBD, the nonpsychoactive compound in cannabis, under his Floyd’s of Leadville brand. Advocates of CBD, or cannabidiol, say it has several health benefits, most notably as an anti-inflammatory. The federal Drug Enforcement Administration, which regulates controlled substances, recently approved it to treat some rare forms of childhood epilepsy. There are still questions about its federal legality, though prosecutions are rare. From his current base high in the Rocky Mountains of Colorado, Landis runs two marijuana-growing operations — one in Leadville, Colo., and another in Oregon. He also operates several recreational marijuana dispensaries in both states. On Thursday, he announced plans to return to Pennsylvania in a big way. 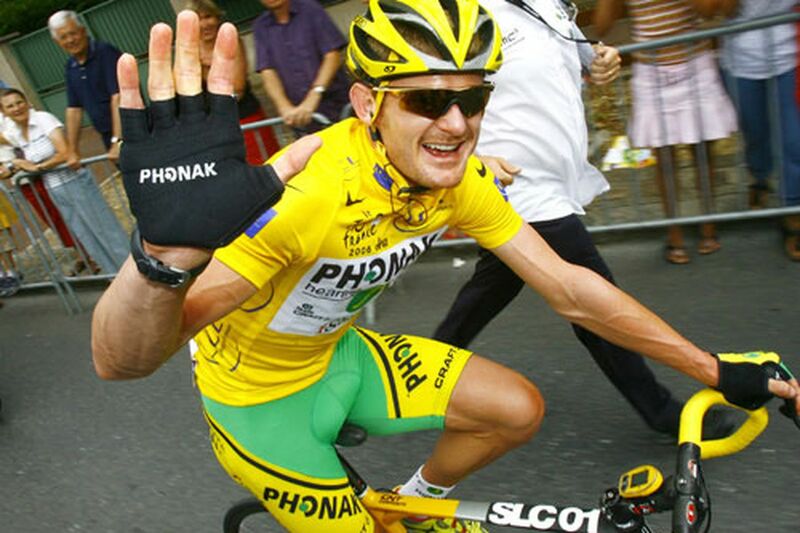 Floyd Landis won the 2006 Tour de France only to have the title stripped from him when he tested positive for blood doping. Since his fall, he has built a second career as a cannabis entrepreneur. He will open a Floyd's of Lancaster shop in Lancaster where he plans to sell CBD and hemp products in April, 2019 . Landis said he will open a Floyd’s of Lancaster in the Red Rose City, where he’ll offer cannabidiol and hemp products alongside a small coffee shop. The shop, expected to open on Prince Street in two months, will sport a bicycling theme and showcase high-performance racing and mountain bikes from Van Dessel. “I’d like to make sure we’re front and center with Pennsylvania’s growing hemp industry,” Landis said, adding that he’d expand the number of hemp businesses in the state if retail sales take off. “It’ll be a place to relax and a resource to learn about hemp cultivation." Landis also recently announced a return to pro cycling as the financial backer of a new North American Continental team named after his CBD brand. The venture is partly funded by the $1.1 million he won in a whistle-blower suit against now-disgraced cyclist and U.S. Postal Service teammate Lance Armstrong. For Landis, getting into CBD after the collapse of his pro cycling career was part of a natural, if agonizing, transition. Hip-replacement surgery in 2016 left Landis in acute pain. Depression had set in after the tour stripped his title. Shame led to a downward spiral. He’s found a cohort of pro athletes who also believe in the power of cannabis products. Landis is an active member of Athletes for Care, a nonprofit group of dozens of former sports stars who encourage the use of CBD and cannabis as a replacement for opioids. The group includes retired boxer Mike Tyson, former Flyers enforcers Riley Cote and Dave “the Hammer” Schultz, mixed martial arts champ Steve Cantwell, and former NFL players Nate Jackson, Todd Herremans, and Marvin Washington. If Pennsylvania ever legalizes cannabis for adult recreational use, Landis said, he’d consider getting into the market. Industry insiders believe that could happen in the next two or three years — if a bill can summon enough Republican support. New Jersey and New York appear poised to legalize the drug for adult use before the end of 2019. Until then, Landis said, he’s singularly focused on getting the industrial hemp industry up and running in the Keystone State, where hemp was once a major cash crop. “The people I’ve talked to there have a lot of interest in growing hemp. But there’s a lot of missing information on how to farm it,” Landis said. “I hope our Lancaster shop will become a clearing house for information farmers can use.